Bearing refurbishment can offer significant savings when compared to a replacement bearing. Repair or refurbishment is usually only economic on bearings with an 8 inch (200mm+) bore size and depends on the degree of wear and/or damage. Repair on smaller bearings is possible, but only becomes economic on larger batch sizes. 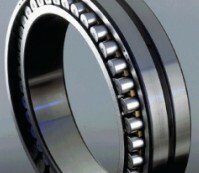 Typical bearing types that suit repair include spherical roller bearings, tapered roller bearings, cylindrical roller bearings and thrust bearings. Certain types of damage are easy to repair, such as minor surface scuffing or light staining. Moderate surface conditions, such as corrosion, indentation or fine spalling, are more difficult to repair and will probably require raceway grinding. To view some of the common types of bearing damage and their repairability, Click here. If you have bearings which you think warrant repair then please contact us. If you require modifications to spherical roller bearings then please take a look at our spherical roller modifications page.